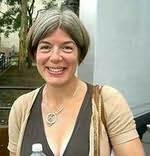 Claire Messud is an American novelist and literature and creative writing professor. She is best known as the author of the 2006 novel The Emperor's Children. "Scrupulously executed, moving landscapes of America's twentieth century." "She has an acute eye for the hairline faults that will ultimately hinder daily life." "Holly Goddard Jones is blessed with wisdom beyond her years. A gimlet eye, and an enviable literary talent... A fierce and exhilerating achievement." "Johanna Skibsrud's remarkable debut is a novel at once lyrical and frank, the resonantly layered portrait of a man, a family and a place that will stay with you long after you read the last page." "Utterly original The Last Illusion weaves Iranian myth with contemporary American neurosis to create a bittersweet poetry all its own." "The Painted Ocean is an unsettling and unforgettable book." "Short and rapier-sharp, Matthew Weiner's Heather, The Totality compels and unnerves in equal measure. Like the great Patricia Highsmith, Weiner renders the disturbing not just plausible but exquisitely, agonisingly inevitable. A tour de force." "With his familiar deftness and depth, James Carroll weaves a profound and compelling novel from diverse but overlapping narrative strands. From the conversations between a Catholic priest and a French Jewish woman in mid-twentieth century New York to the brutality of Nazi-occupied Paris, to the great medieval love story of Abelard and Heloïse, The Cloister illuminates life's most vital questions, and proposes inspiring, radical, and timely answers." "To read Carys Davies' West is to encounter a myth, or a potent dreama narrative at once new and timeless. Exquisite, continent, utterly vivid, this short novel will live on in your imagination long after you read the last page." "This vital novel offers delicious echoes of Virginia Woolf and E. M. Forster, and a touch of A Midsummer Night's Dream--but its magic is unique. The Garden Party is beautiful and full of life." "Smart, tough, an extraordinary athlete, Lucy Adler teeters, zealous and baffled, on the cusp of womanhood. Dana Czapnik’s frank heroine has a voice, and a perspective, you won’t soon forget. The Falconer is an exhilarating debut." "I’ve long admired Linn Ullmann’s fiction, and Unquiet is her masterpiece. Based on her upbringing as the child of two great artists, it is the portrait of complex loves; of a youth divided and inspired by diametrically opposed creative influences; and of the ravages of age. Calm yet fierce, exquisitely rendered, this novel imprints itself indelibly - as if you, too, had been there."